aFe Control is proud to introduce the Johnny O’Connell Sway Bar set for the 1997-2013 Chevrolet Corvette C5/C6. Tuned by Johnny O’Connell himself, these 4130 Chromoly tubular sway bars, include polyurethane bushings, heavy duty end links, and come in Johnny O’s signature yellow. The rear bar is 3-way adjustable, allowing for fine tuning the suspension. 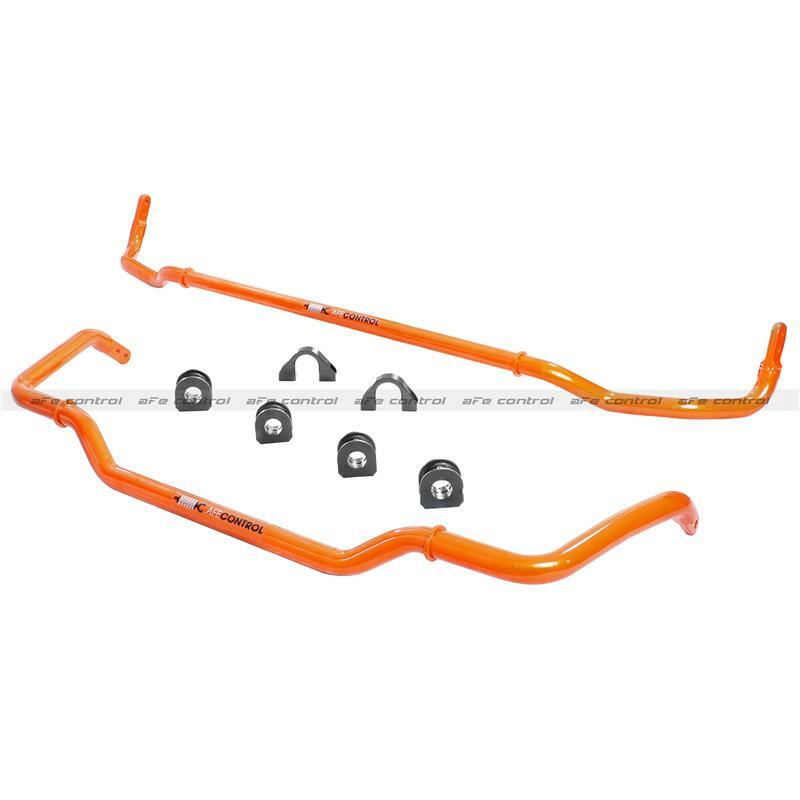 Perfectly matched to the Johnny O’Connell shock absorbers, the JO sway bars will make for a complete transformation in your C5/C6 Corvette’s performance, offering flatter, faster cornering, and added car control. Perfectly balanced, aFe Control sway bars will have your Corvette handling just as good at the track as it will around town.